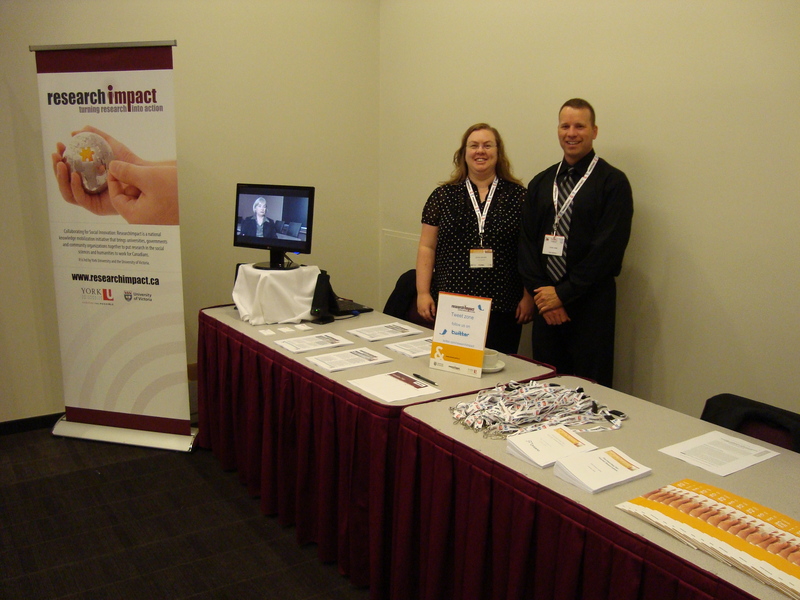 The KM Unit at York was present on Thursday, October 8 at the Metro Toronto Convention Centre along with over 400 Ontario Public Servants to learn about the intersection of public policy and program delivery (hence the catchy title!). York’s KM Unit was present as both an exhibitor and as delegates. With 21% of our brokered opportunities being initiated by government, the opportunity to have such a captive audience was one we took full advantage of. The Policy Innovation and Leadership Roundtable within the Cabinet Office coordinated this event and we are pleased to continue to build our relationship with this important unit of the Ontario government. The theme of Polivery was Wicked Problems (such as climate change, poverty, addicitons, domestic violence…) which continue to challenge policy development and delivery. As delegates, we had the chance to attend sessions on Web 2.0, Horizontality (another new term to add to the lexicon and impress friends at dinner parties) and Finding the Evidence. Horizontality highlighted the Toronto Waterfront development and focused on challenges, barriers and successes to work horizontally, often within an organization that has several departments/units. Finding the Evidence featured a presentation by the Climate Change Secretariat that illustrated the challenge of coordinating cross-Ministry responses to a wicked problem like climate change. York was the only university present at this event. Early in the planning stages York’s KM Unit held a couple of conversations with Policy, Innovation and Leadership to help frame the conference and to introduce them to York’s Brenda Zimmerman who has written about wicked problems and spoke at the conference. We had a prime, strategic location for our booth (close to coffee!) and enjoyed numerous conversations with government staff from numerous ministries. We shared examples of how we have worked with OPS, how we can tailor our services to meet the research or knowledge needs of policy makers or government program officers, and demonstrating how we are leading a national network, which gives the province access to research experts from across the country. We spoke to about 100 people and many of those that we spoke with signed up for our monthly newsletter. While we are active knowledge brokers, we are also proud to support informed polivery here in Ontario and throughout Canada!